October 3, Fineko/abc.az. 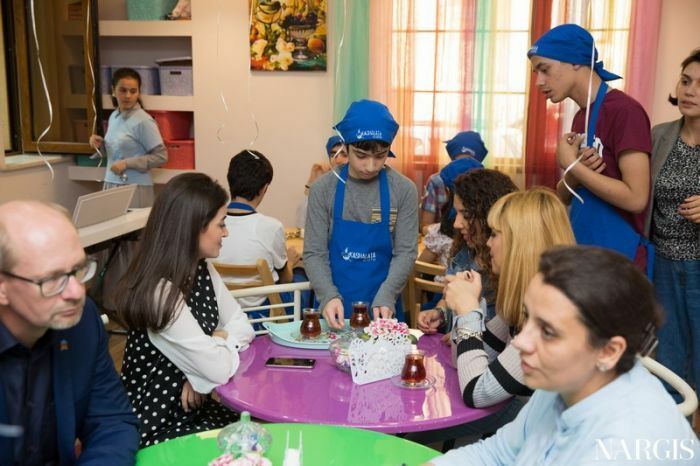 Nar employees visited the ‘Kashalata’ cafe-atelier, which employs children with autism spectrum disorder to meet and spend time with the children. The ‘Kashalata’ cafe employs children with autism to support their integration to the society and develop their social skills. At the café, the children serve the customers independently. The mobile operator’s employees spent time in the café as the customers, and presented the special equipment, necessary for the café. The CEO of Azerfon LLC Gunnar Pahnke also attended the meeting: ‘Besides presenting high-quality sevices, it is also important for us to take part in social projects. With great pleasure we suport children with autism who need special care in frame of our corporate social responsibility strategy. We hope that many buisness organizations will follow to our initiative. It should be noted that the ‘Kashalata’ café operates under the ‘Together and Healthy' Public Union and employs children with autism spectrum disorder. The rehabilitation center hosts more than 70 children with autism and need for special care. 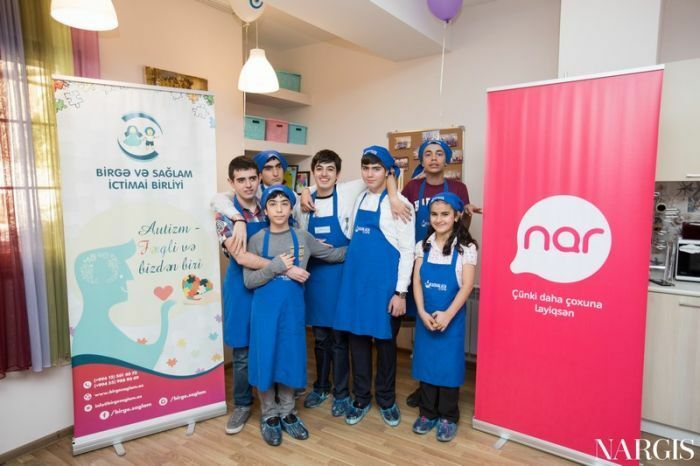 Nar provided support to children with autism within the framework of its CSR strategy. More information about the CSR strategy of Nar is available at nar.az website. ‘Azerfon’ LLC (Nar trademark) started its operations on March 21, 2007, and within a short period of time became one of the leading companies of the telecommunications and mobile communication industry of Azerbaijan. The ‘Nar’ brand name was selected as the symbol that resembles the cohesion of the rich cultural and historical heritage of Azerbaijan with the modern life. Being the first operator in the country to introduce the 3G technology, Nar provides the customers with a wide 4G network coverage. With a large network of over 7000 base stations, covering 93% of the country’s territory, Nar provides more than 2.1 million subscribers with the highest quality services.